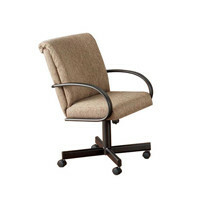 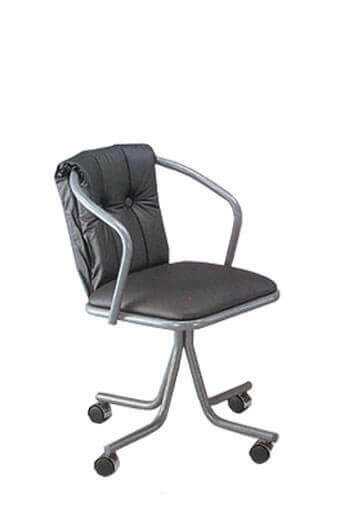 Doesn't allow the chair to tilt or rock back. 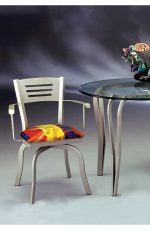 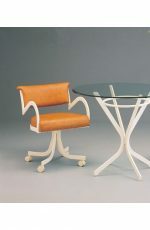 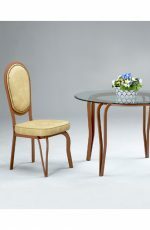 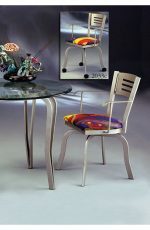 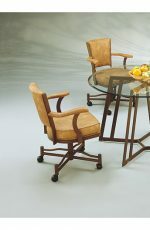 This unique, funky dining chair will amplify your modern or eclectic dining room space. 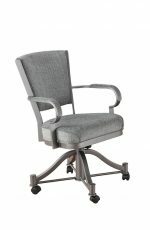 Its well-cushioned on the seat and button-tufted backrest with armrests, allows you to sit back and relax in it for long periods of time. 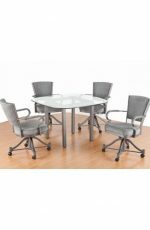 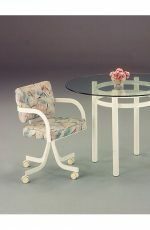 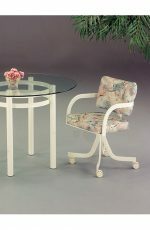 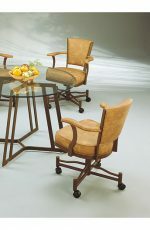 While the L-shaped base with wheels not only adds another layer of personality, but allows you to glide across the room, making eating or working a breeze. 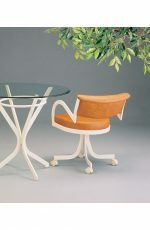 "I really like my chair, it's exactly what I wanted, but and there is always a but, the time between order and delivery had problems and took a rather time. 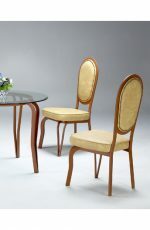 I will not order from Barstool Comforts again."